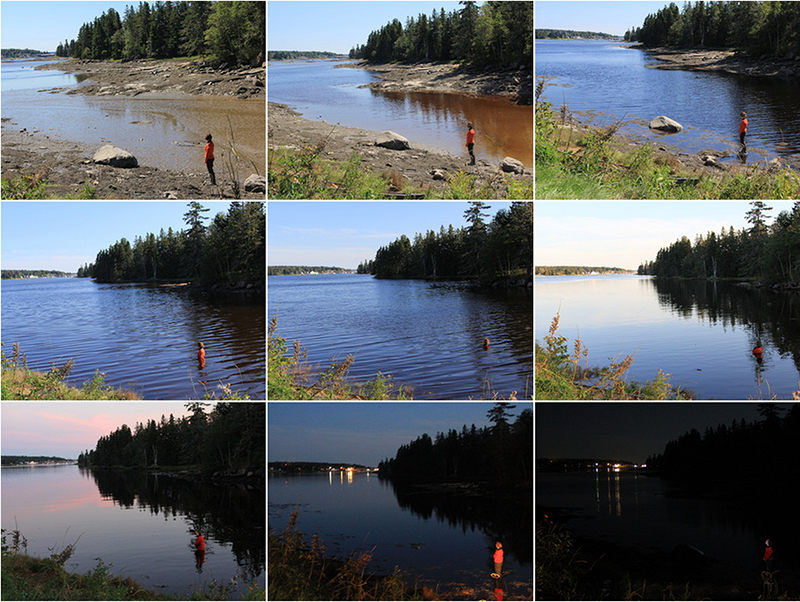 36.5 / A Durational Performance with the Sea is a time-based project spanning seven years and six continents: New York-based artist Sarah Cameron Sunde stands in a tidal area for a full cycle, usually 12-13 hours, as water engulfs her body and then reveals it again. 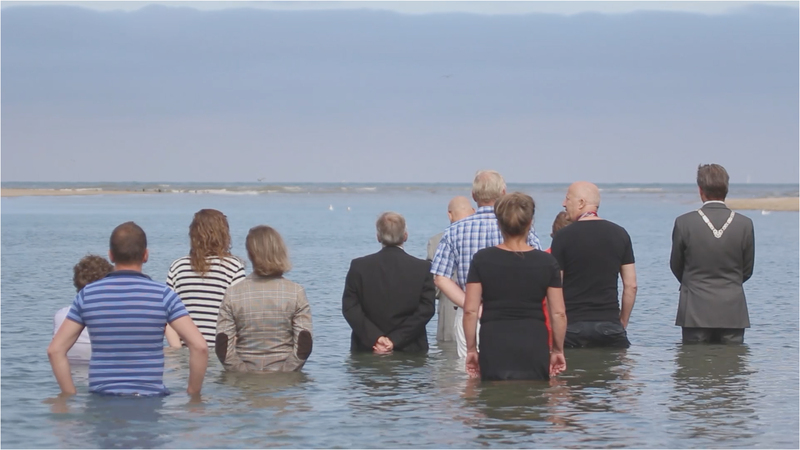 The public is invited to participate by joining Sarah in the water and by marking the passing hours from the shore. The project began in 2013 as a response to Hurricane Sandy’s impact on New York City and the parallel that Sunde saw in the the struggle for artists to survive on a daily basis in the city and the struggle of humanity to survive in the face of sea-level rise. The project was developed in Maine, Mexico and San Francisco 2013-2014, launched on a global scale in The Netherlands in 2015, and the fifth iteration took place in Bangladesh in 2017. The performance is filmed from multiple perspectives and then translated into multi-channel video installations that can communicate to a wider audience. New 36.5 works are in the works for Brazil and Kenya in 2019 and New Zealand in February, 2020 before coming home to New York City in September 2020.